Last updated 18:00GMT, Wednesday 4 February. TODAY: very busy with freight traffic Dover, Calais and Eurotunnel. Overnight ‘mandatory truck parking’ A7, A8 and A9 South of France lifted this morning after snow storm last night. Also, black ice A28 Rouen-Abbeville, Limoges. Sleet Mont Blanc Italy, A7/A26 Genoa. Recovering state of emergency floods Bulgaria, Macedonia and Greece (see latest). SPAIN: heavy snow across northern Spain last night, trapping some motorists for hours, and north east this morning. Bilbao and Barcelona now both massively improved, see below. Police advising drivers not to travel unless absolutely necessary in affected areas. Snow chains essential at altitude. Bad weather expected to continue. NEWS: French truck driver strike talks break up without solution; next meeting 9 February. CHANNEL DELAYS: no delays notified but reports very busy into Dover and Calais this morning. Eurotunnel freight, earlier disruption, UK: increased to 60mins wait before check-in + 2h30 transit time; France still 90mins + 3h00. MyFerryLink delay 35mins. Brittany Ferries knock-on disruption to Portsmouth<>Santander services until Thursday. Most Plymouth-Roscoff cancelled Friday-Sunday. Plymouth-St Malo cancelled Sunday 8 February. WEATHER ALERT: red alert high wind Sardinia. Amber alert snow France, snow, high winds Spain, Montenegro, snow, storm Italy, high winds Switzerland, Serbia. WEATHER: cold. Heavy rain South. MONT BLANC TUNNEL: ‘traffic fluent’. MAJOR TRAFFIC DELAYS: A28 northbound to Zwolle, holdup Epe ‘winter storm’ delay down to 45mins. A50 both ways Eindhoven-Nijmegen ‘winter storm’ Oss delay northbound 1h15; southbound 1h15 + A59 eastbound delay 45mins. A1 westbound Enschede-Apeldoorn, earlier accident Rijssen, re-opened, delay back to 1h10. A1 southbound to Amersfoort earlier accident Baarn delay 45mins. A3 northbound Cologne, accident lane blocked Leverkusen, closed, delay down to 50mins + A4 eastbound into Cologne delay still 1h25; westbound delay 45mins. A3 northbound Nuremberg, re-opened, lane closed, delay down to 50mins. A8 westbound to Ulm, road works Burgau delay 1h20. 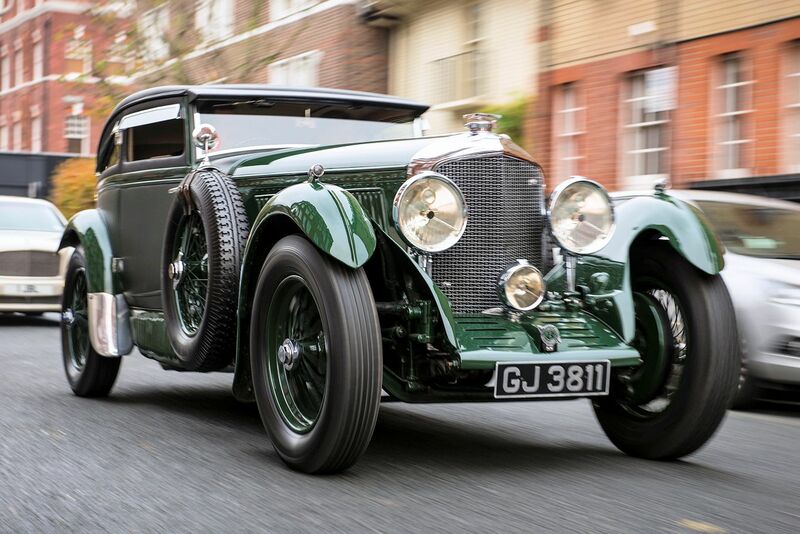 Bentley Blue Train: a star of this week’s Retromobile Show in Paris, starting today, is this 1930 Bentley Speed Six, owned by three time Le Mans winner – and Bentley chairman – Captain Woolf Barnarto, one of the original Bentley Boys. The same year the car was delivered he accepted a wager to not only race the famous Blue Train back to Calais from Cannes but to also be in his London club before the train arrived at the Channel. Leaving at 17:54, after finishing his drink, Barnato made it with four minutes to spare just after 15:30 the next day at an average speed of 43mph over the 940 miles. The 6.6 litre, straight six engine developed 180bhp and topped out at 100mph.